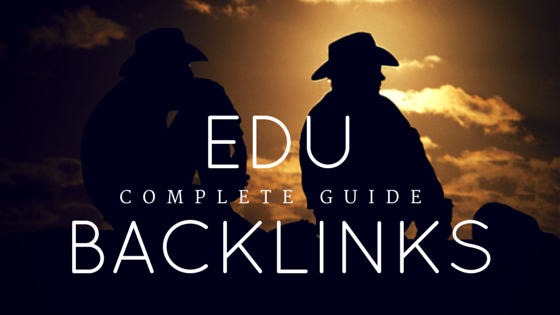 Edu Backlink more valuable for any website. It helps to improve search engine ranking. We can improve our page of high quality links from other domains. There are many different ways to get Edu backlinks. But I am going to share one of the best ways to get high quality Edu backlink with page authority. Open Dropmylink.com website and signup there. After login you will see below page on your browser. Turn Any TLD into edu from drop down. Put your keywords in the Search Box. 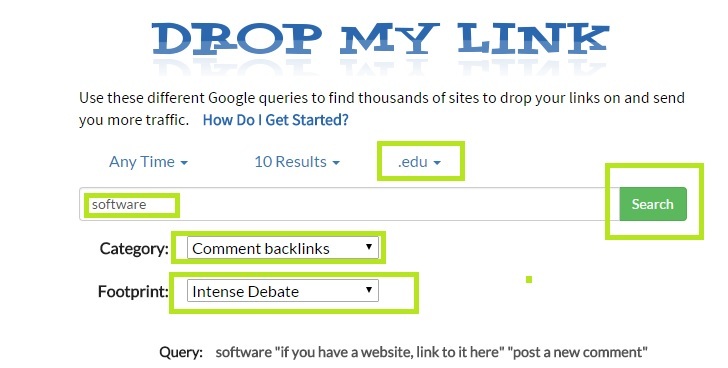 Select a category From Drop down as Comment Back links. Select Foot Print. 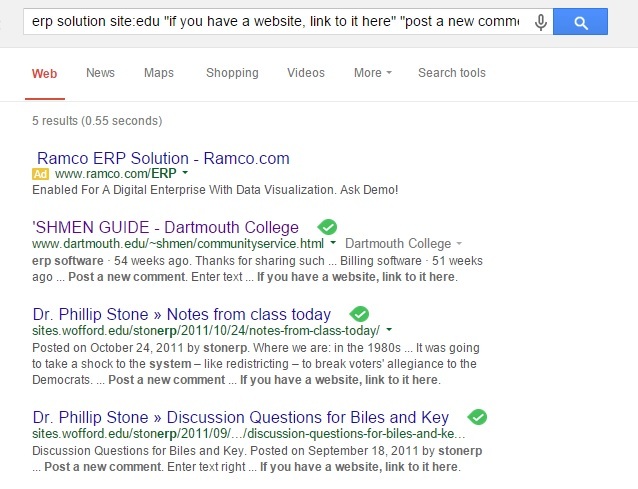 There are different foot print but the easiest way to get edu instant approval backlinks is an Intense Debate. Click on the search button. You can see in below image . 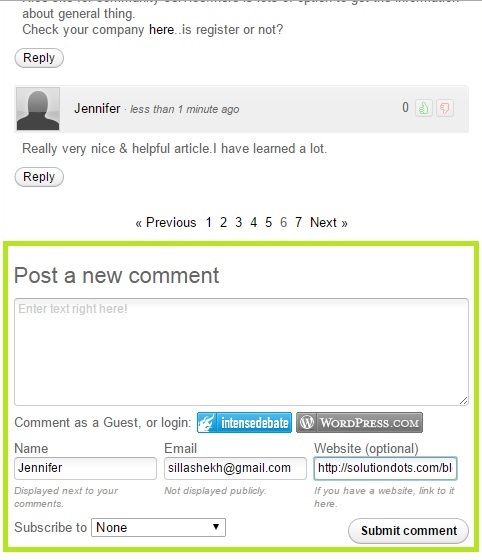 Query: software "if you have a website, link to it here" "post a new comment". Fill out all fields correctly. Add your Name, Email and Website' URL into the fields. Be wise, read the article's topic and then write relevant comment on the post. In order to get more informative posts...Stay Connected!